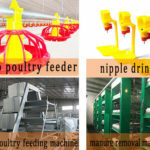 Different types of layer battery cages system are available in Livi Machinery poultry farming equipment supplier, which have owned much good reputation among our customers for poultry equipment and chicken cages in Zimbabwe. We have laid down a detailed programme for battery layer chicken cage system especially for commercial Zimbabwean poultry farms market. Before you are going to start to build up your chicken farms, you have to consider much factors for your poultry farming business. 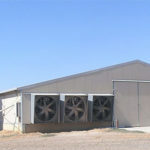 Some of factors you should think about is that poultry house design and the specific chicken quantity in your poultry farms. Therefore, you need to be familiar with your farms conditions. The full set of layer cage system contains the automatic egg collection machine, poultry drinker system, poultry feeder system, poultry manure removal system, and poultry environmental control system, etc. We also provide your poultry farms the complete farming project and free chicken shed design as well as the service of on installation. 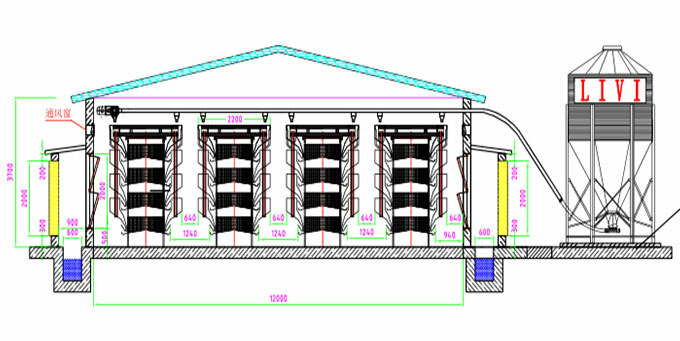 The next is an example of 20,000 chickens raised in your poultry house design dimensions in Zimbabwe. Your chicken house dimensions should be in the range of L * W * H = 60m * 12m * 3.7m. 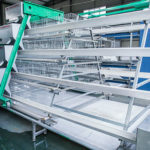 In the poultry shed, you should equipped with the H type automatic chicken layer cages for sale supplied by Livi Machinery poultry supplier. 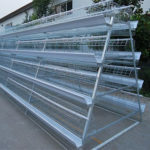 And layer chicken cage dimensions should be in the range of 180cm * 60cm * 43cm, which are 4 rows, each row have 4 tiers, and each raw can be kept chickens about 28sets, and so you can kept 112 sets. And the total quantity in your poultry farms can up to about 20,000 birds. We have our suppliers in Zimbabwe. 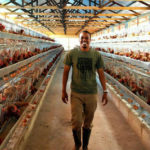 You should let us know that what is your poultry farms plan, how many chickens would like to raise or you have had kept in your farms already, and which types of layer chicken cages for sale in Zimbabwe you are interested in. 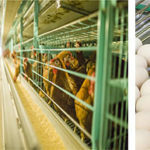 The full set of battery cages for sale in Zimbabwe can help your poultry farms gradually.